This is a story of two very different halves. But I’m getting ahead of myself; let’s start at the beginning. On first glance, Nibutani looks like any other rural Japanese village. Modest and unassuming, it straddles the two-lane Hidaka National Highway that criss-crosses the broad Saru River in Biratori Town, a couple of hours from Sapporo and close to Hokkaido’s southwest coast. Though seemingly little more than a jumble of prefab houses, closer inspection reveals several woodcraft shops, a stonemasonry, a brace of museums — and even some thatched houses. Clearly on this, my first visit, there was going to be a lot to learn about this settlement of some 500 people, of whom around 80 percent have Ainu blood in their veins. Ainu are the indigenous people of Hokkaido, the Kuril Islands and much of Sakhalin. 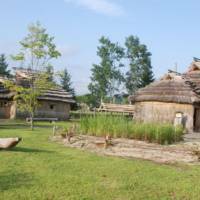 However, their culture in Hokkaido, dating back to the 13th century, was decimated after Japanese settlers began flocking to the huge northern island in the 1800s. From 1869, in fact, Ainu were prohibited from using their own language, hunting bears or catching salmon, and their nature-worship rituals were also outlawed. Due to such discrimination, many Ainu chose to hide their ethnic identity as they were forced to assimilate into Japanese culture. Slowly but surely, the Ainu all but disappeared. Nowadays there are many museums around Japan dedicated to the Ainu, but few are as rich as those in Nibutani; the Nibutani Ainu Culture Museum ( 2-2892) houses 919 items designated as Significant Tangible Cultural Assets, while another 202 are to be found at the Kayano Shigeru Nibutani Ainu Memorial Museum ( 2-3215 or  2-2164). The museums are staffed by friendly and knowledgeable Ainu researchers who are happy to explain the artifacts in detail — and English brochures are abundant. 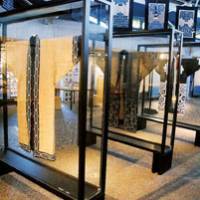 Ainu people traditionally believe that tools — just like animals, flora and fauna, and even natural disasters such as earthquakes and tsunami — contain a kamuy (deity spirit), and the display cases at the surprisingly modern Culture Museum (overhauled in 1991) bulge with preserved implements. 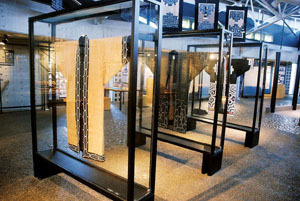 Alongside a selection of knives, bows, needle cases and even a swinging baby’s cradle, one particularly impressive contraption was long ago used to spin fiber from the hand-stripped bark of erect Manchurian elm trees; the resulting 300-year-old garments are also on display, adorned with traditional Ainu motifs. 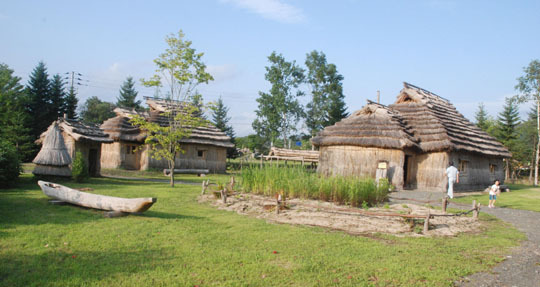 Ainu poro cise houses were made from reeds or bamboo and, with their thatch roofs, they were far warmer than those made from wooden boards favored by the incoming Japanese. Separate outdoor pantries were raised on stilts to keep out rats. There are several relocated poro cise outside each of Nibutani’s Ainu museums that are used for educational ceremonies, talks and dances; ask nicely and you’ll be allowed to enter one. Central to every poro cise was a hearth used for both heating and cooking, where the most revered Ainu deity — Ape-Huci Kamuy, the god of fire — watched over resident families. Over the hearth, a wooden rack was normally hung from the ceiling, allowing fish or meat to be smoked. In the past, rivers were more abundant than roads or tracks, so the Ainu made magnificent cip (boats) from huge hollowed-out trees. One of the Culture Museum’s three cips is also the largest in Japan, and every summer in Nibutani (usually around Aug. 20), local kids are taught to make and ride these boats during the Cip Sanke (Cip Festival). Visitors are welcome, as they are to the Shishirimuka Ainu Bunkasai cultural festival in mid-February. Contact the Culture Museum for information on both events. The village is also the site of the Nibutani Dam, whose controversial construction was completed in 1997 on land containing many sacred sites that Ainu farmers claimed was illegally taken from them. The Historical Museum of the Saru River ( 2-4085) next door to the Culture Museum is nonetheless an interesting archive. Its centerpiece is a scale model of the surrounding land before the dam was built, with those doomed cultural hotspots clearly marked. A curator explained in detail the museum’s collection of swords, iron nabe bowls and needles that were received in trade over the centuries with the technologically superior Japanese. 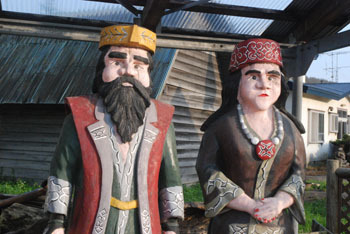 Older Ainu versions, such as needles made from animal bones, are also on display. Near these museums, several gift shops sell homemade handicrafts, from wooden statues and tonkori (a five-stringed musical instrument) to hand-stitched cloaks and handkerchiefs. At Nibutani Kougeikan, visitors can even craft their own souvenirs at certain times. But I later discovered there’s more to Nibutani than museums and gift shops. I checked in to Nibutani-sou ( 2-2027), one of the village’s two minshuku (family-run B&Bs), and that was where my Nibutani experience began to take a fascinating twist. The minshuku is run by Mrs. Kaijawa, a Japanese lady who moved to Nibutani 30 years ago with her Ainu husband, and I was her only guest. A mere ¥5,500 gets you a tatami room, evening meal and breakfast. Over a dinner of Genghis Khan (barbecued lamb and vegetables), Mrs. Kaijawa told me stories of her life in Nibutani. I asked her what there was to do in the evening, as I’d seen no bars or other nightlife besides a nearby onsen (hot spring). “Aha,” said Mrs. Kaijawa, who told me to try the small restaurant called Lunch House Bee opposite the Culture Museum, which serves traditional Ainu fare such as shito (dumplings), venison miso soup and pork cutlets with wild onions and rice. It’s closed in winter, but this was a balmy summer night, and when I rolled up there were two large families — parents, kids, grandparents — eating and drinking at outdoor tables. Hospitable to a fault, they plied me with beer and told me of their pride in Ainu heritage, their fears for their culture’s future and their daily hardships in this secluded rural village. In 2008, Japan finally recognized in law the Ainu’s status as Hokkaido’s indigenous race. 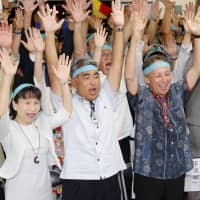 The decision was considered by many as hollow and face-saving, “coincidentally” occurring in time for an international conference of indigenous peoples and a G8 Summit — both held in Hokkaido. Indeed, my new friends at Lunch House Bee felt that their culture’s official recognition had had no real impact on their lives. 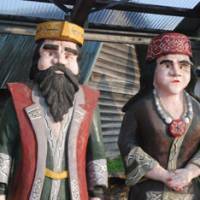 Through more than a century of abuse and repression, they explained, most Ainu had been starved of proper education and prosperity and had fallen into poverty. These are conditions not easily shaken off. I certainly witnessed sorrow: One gent of around 65 was shooed off home by the others after he fixed me with an intense, drunken glare and declared that “all Westerners look down on the Japanese.” That he should say “Japanese” rather than “Ainu” highlighted an identity crisis that my other companions confirmed runs deep among 21st-century Ainu people. More than anything, though, my time at Lunch House Bee was fun. 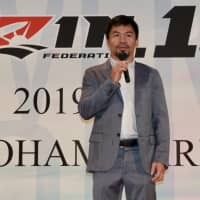 We talked about music — chiefly Japanese rock legend Eikichi Yazawa — and the encroachment of modern luxuries (apparently SoftBank will erect a mobile-network tower in Nibutani next year; the locals all use DoCoMo now). Then one of my companions, a 32-year- old woodworker with a gentle smile, summoned me into his car and drove us to neighboring Biratori, where we sang karaoke with his friends at a snack bar. He even tried to marry me off to a local woman. As I said: hospitable to a fault. We drank past 3 a.m. and somehow I made it back to my minshuku. Remarkably, too, I managed to get up for breakfast before blearily boarding the 7:22 a.m. bus back to Sapporo — it being the only direct bus of the whole day. Gazing out of the window as the rolling green expanses of this part of Hokkaido flew by, I wished I’d had more time in Ainu Japan. Once the snows of winter thaw, I’ll return. Maybe I’ll see you there, too. 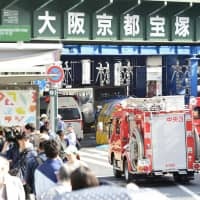 There is one direct bus daily to and from Nibutani (¥2,090), though a journey involving three buses with changes in Tomikawa Oumachi and Biratori (¥2,660) may actually be more convenient. For routes, call (011) 261-3601.